H. Rick Bamman - hbamman@shawmedia.com Tow driver Tony Balster delivers a snow blower to a home on Oakleaf Ct. on Sunday in Algonquin. 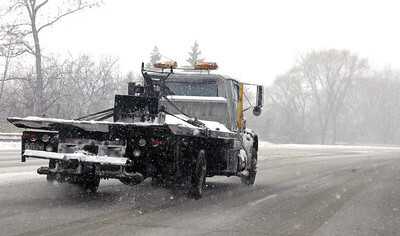 H. Rick Bamman - hbamman@shawmedia.com Might not be a good sign if a flatbed tow truck is hauling a snow blower on Algonquin Rd. 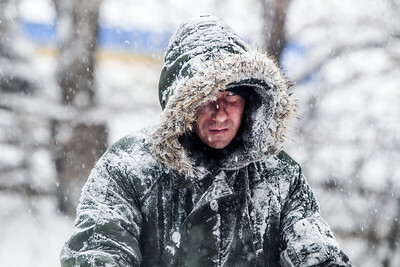 H. Rick Bamman - hbamman@shawmedia.com A man walks north on Harrison St. in what some might call a winter wonderland in Algonqun on Sunday. 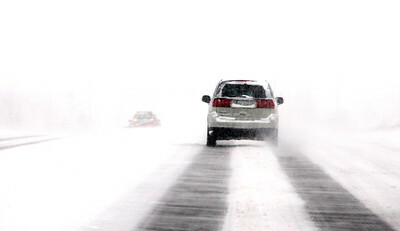 H. Rick Bamman - hbamman@shawmedia.com White out conditions form on eastbound Rakow Rd. in Crystal Lake on Sunday. 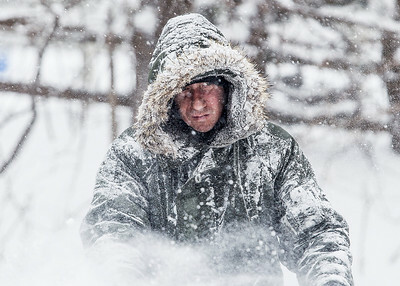 H. Rick Bamman - hbamman@shawmedia.com Mike Holmes clears his driveway on Yosemite Parkway in Algonquin on Sunday. 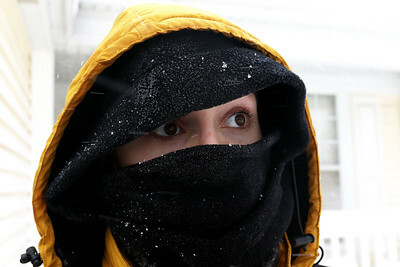 Snow continues to fall throughout the area as up to 15 inches are expected. A blizzard warning is in effect in McHenry and neighboring counties beginning at 2 p.m.
Kyle Grillot - kgrillot@shawmedia.com Olaf Sandkehler of Fox River Grove (left) wwatches over his son, Bela, 5, as a gust of wind blows a sled from his hands at Picnic Grove Park Sunday, February 1, 2015 in Fox River Grove. 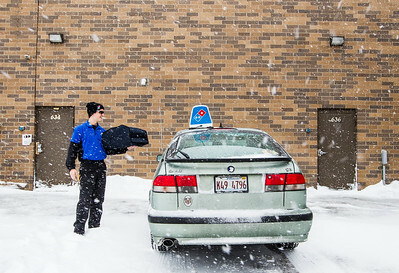 Snow continues to fall throughout the area as up to 15 inches are expected. 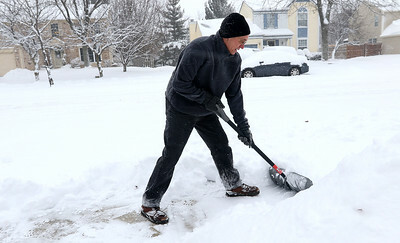 A blizzard warning is in effect in McHenry and neighboring counties beginning at 2 p.m.
Kyle Grillot - kgrillot@shawmedia.com Brian Guyell of Fox River Grove uses a snow blower to clear a sidewalk along Northwest Highway Sunday, February 1, 2015 in Fox River Grove. 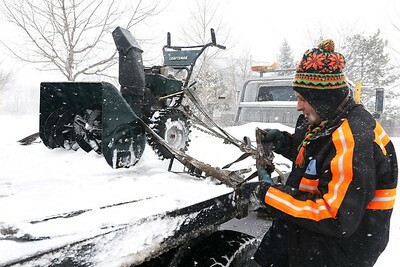 Snow continues to fall throughout the area as up to 15 inches are expected. 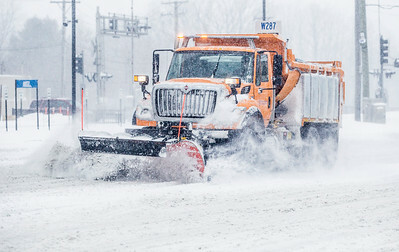 A blizzard warning is in effect in McHenry and neighboring counties beginning at 2 p.m.
Kyle Grillot - kgrillot@shawmedia.com An Illinois Department of Transportation plow heads clears snow off Northwest Highway Sunday, February 1, 2015 in Fox River Grove. Snow continues to fall throughout the area as up to 15 inches are expected. 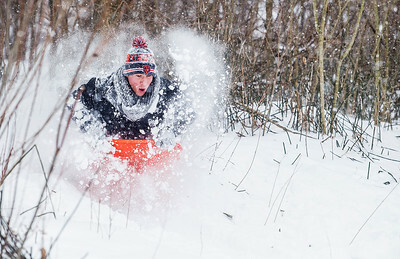 A blizzard warning is in effect in McHenry and neighboring counties beginning at 2 p.m.
Kyle Grillot - kgrillot@shawmedia.com Ben Selking of Fox River Grove hits a bump while sledding at Picnic Grove Park Sunday, February 1, 2015 in Fox River Grove. Snow continues to fall throughout the area as up to 15 inches are expected. A blizzard warning is in effect in McHenry and neighboring counties beginning at 2 p.m.
Kyle Grillot - kgrillot@shawmedia.com Karey Hammond of Evanston hits a bump while sledding at Picnic Grove Park Sunday, February 1, 2015 in Fox River Grove. Snow continues to fall throughout the area as up to 15 inches are expected. 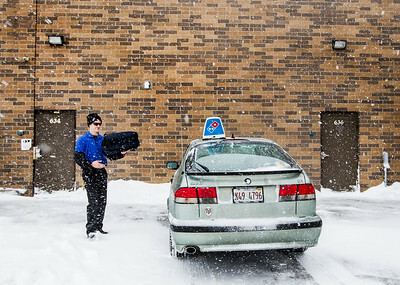 A blizzard warning is in effect in McHenry and neighboring counties beginning at 2 p.m.
Kyle Grillot - kgrillot@shawmedia.com Dominos delivery driver John Korinke of Crystal Lake loads his car before heading out on a delivery Sunday, February 1, 2015 in Cary Even with the Blizzard Warning, the drivers remain delivering pizzas throughout the night. 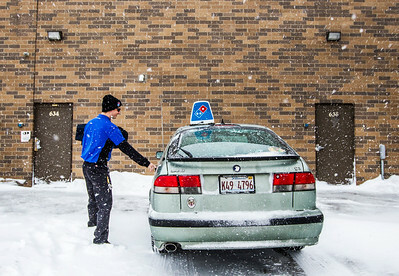 Domino’s expects to deliver more than 11 million pizza slices Sunday for Super Bowl parties, according to Forbes. 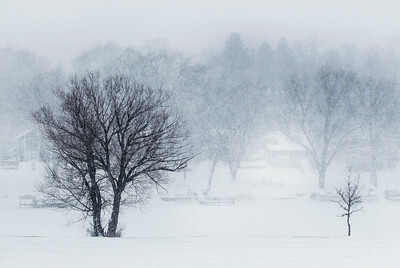 Kyle Grillot - kgrillot@shawmedia.com A blanket of blowing snow clouds the trees along the Fox River at Picnic Grove Park Sunday, February 1, 2015 in Fox River Grove. 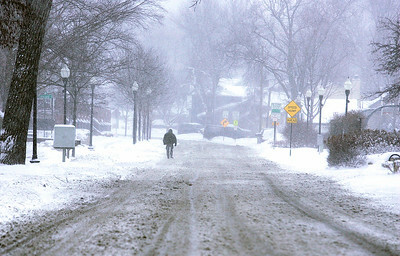 Snow continues to fall throughout the area as up to 15 inches are expected. A blizzard warning is in effect in McHenry and neighboring counties beginning at 2 p.m.